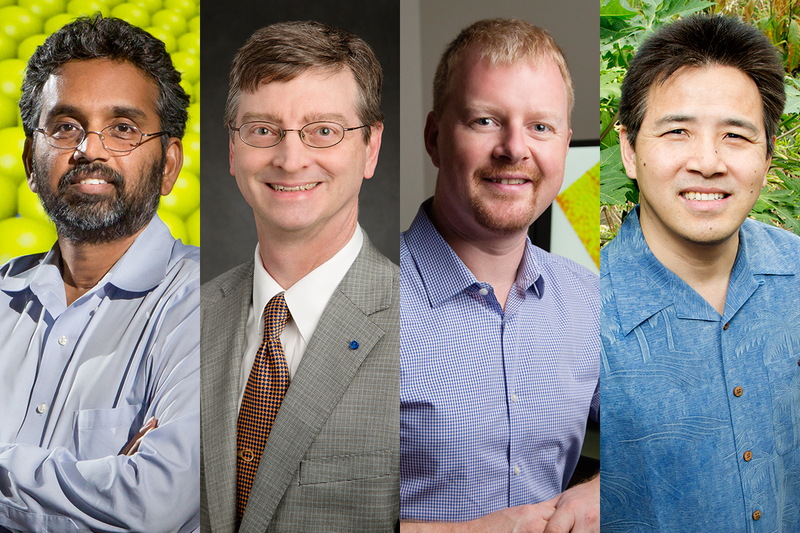 From left, mechanical science and engineering professor Narayana Aluru, computer science professor William Gropp and plant biology professors Andrew Leakey and Ray Ming are among 416 scientists elected AAAS Fellows this year. CHAMPAIGN, Ill. — Four professors at the University of Illinois at Urbana-Champaign have been elected 2018 Fellows of the American Association for the Advancement of Science. Mechanical science and engineering professor Narayana Aluru, computer science professor William Gropp and plant biology professors Andrew Leakey and Ray Ming are among the 416 people to be awarded the distinction of AAAS Fellow this year.